Kids Vote Bowling Birthday Parties #1. 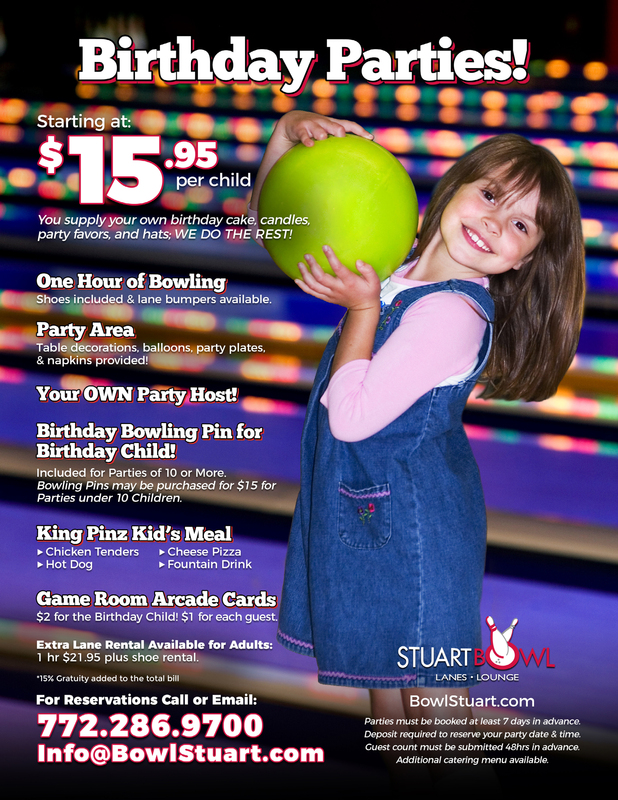 When you're looking for a birthday party place in Stuart...Stuart Bowl is your party headquarters. Call (772) 286-9700 to book your party today!